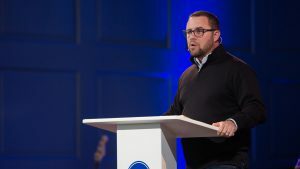 Joey Schwartz, Summit Church Campus Director at Duke and Durham Tech, preaches on how you should consider your life disposable for Christ, rather than dear to yourself during Student Preaching Week at Southeastern Seminary. 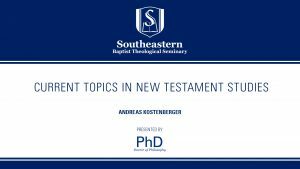 Andreas Kostenberger, Senior Research Professor of New Testament and Biblical Theology at Southeastern Seminary, presents a lecture on “Current Topics in New Testament Studies” as part of the 2018 Ph.D. Colloquium Series. 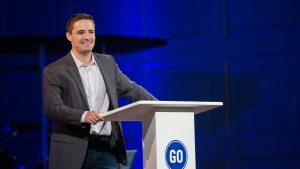 Chris Williamson, Pastor of Strong Tower Bible Church, preaches on how advocacy means to stand up, speak up, give up, and think up: to petition to the powerful on behalf of the powerless. 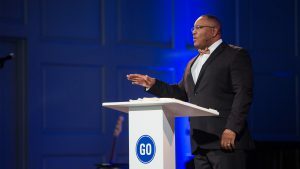 Jamie Dew, Dean of the College at Southeastern, preaches on how the true servant of Christ will recognize and celebrate that the body of Christ is better together. Danny Akin, President of Southeastern Seminary, presents a lecture titled, “Sermon in Daniel” for the Christ-Centered Exposition Workshop on “Exalting Jesus in Daniel” hosted by The Center for Preaching and Pastoral Leadership. 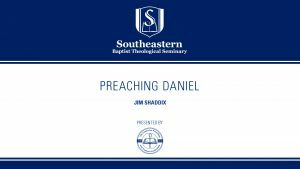 Jim Shaddix, Director of The Center for Preaching and Pastoral Leadership and W.A. 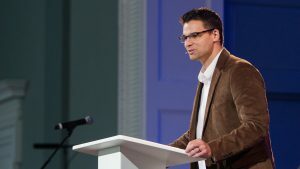 Criswell Professor of Expository Preaching at Southeastern Seminary, presents a lecture titled, “Preaching Daniel” for the Christ-Centered Exposition Workshop on “Exalting Jesus in Daniel” hosted by The Center for Preaching and Pastoral Leadership. 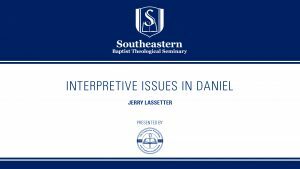 Jerry Lassetter, Assistant Professor of Old Testament and The History of Ideas at Southeastern Seminary, presents a lecture titled, “Interpretive Issues in Daniel” for the Christ-Centered Exposition Workshop on “Exalting Jesus in Daniel” hosted by The Center for Preaching and Pastoral Leadership. 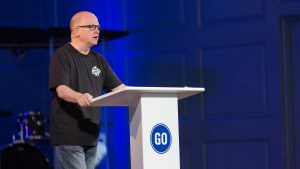 Danny Akin, President of Southeastern Seminary, preaches on how we must recognize that God is King and we are His servants. He commands and we obey.